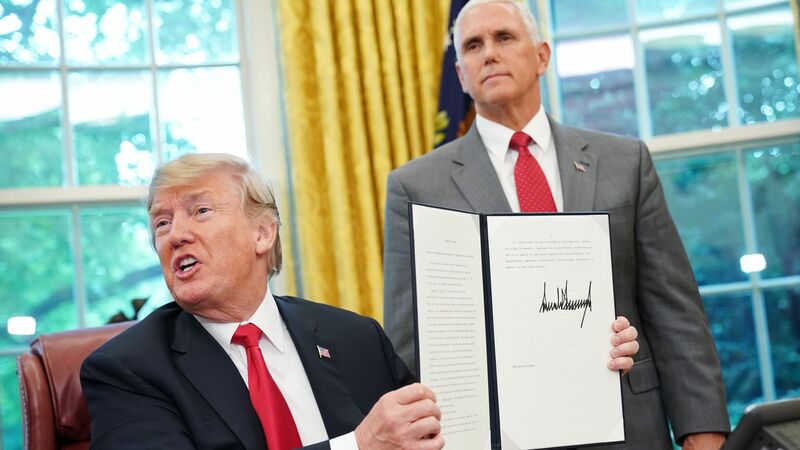 Vice President Mike Pence stood by the president's assertions on Friday that the administration does not plan to reinstate its policy of separating migrant families at the border, following an NBC report that 3 U.S. officials said Trump has urged a return of the policy. The bottom line: Multiple sources told CNN the same thing, and said that Trump also advocated for separating families that entered through legal ports of entry. Whether the administration plans to bring back the policy or not, Trump is embracing increasingly extreme immigration ideas. What they're saying: "The president made it very clear this week that we're not bringing back family separations," Pence told CNN on Friday, per the Hill. The numbers that matter: It could take 2 years for federal officials to identify the 47,000 migrant children who were likely separated from their parents before the government began collecting data through its "zero-tolerance" immigration policy in April 2018.